Upon entering the Christine Center’s Mary of the Angels Chapel, many guests feel awe as they experience the seven stained glass windows. 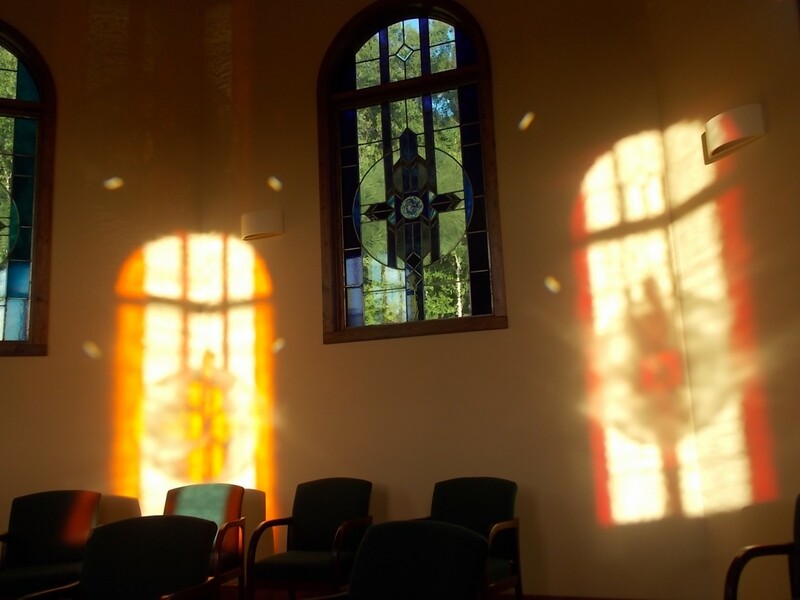 How glorious the windows are when the sun is shining and images of the windows are reflected into each other and on the walls and floor. 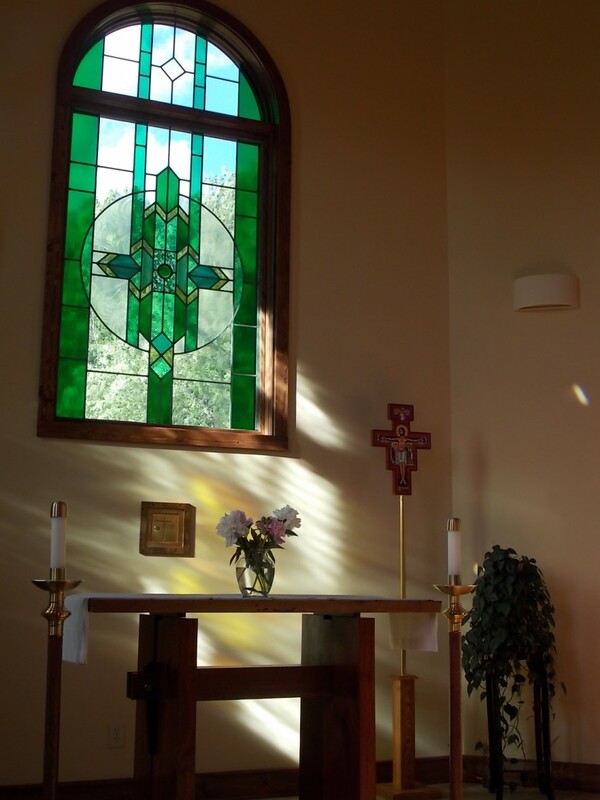 It is with a sad heart and wonderful memories that we remember Laurie Bieze who created the Chapel windows and doors, completed in September 2010. Laurie died of cancer on June 22, 2014. Laurie loved adventure and she looked forward to her passing to a new life’s journey with anticipation and excitement. Laurie was an unassuming internationally renowned stained glass artist. Her soul and love are ever present in our Mary of the Angels Chapel. The beauty of the Chapel windows and doors reflect her extraordinary creative artistry, and her exuberant, joyful and generous heart. One of Laurie’s favorite quotes was, “To thine own self be true”. 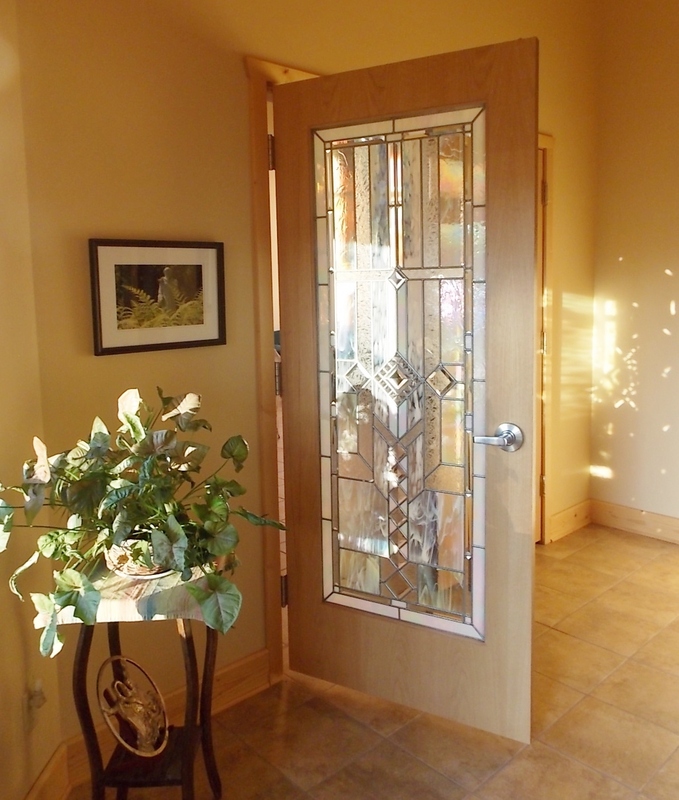 Each door and window of the Chapel has shapes of diamonds in them. We like to think that the diamond reflects the preciousness of Laurie’s true self. We are grateful for her presence in our lives.